Today I am including an Arthurian Retelling. 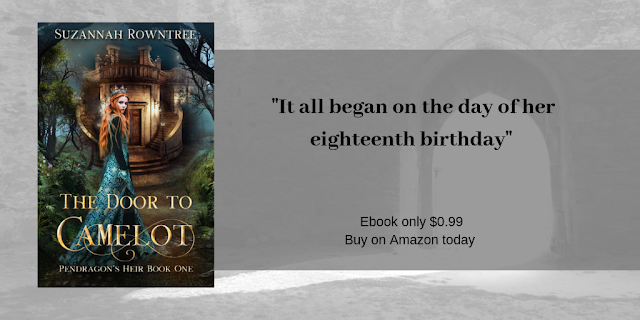 The Door to Camelot is the first in a Trilogy of short stories by Suzannah Rowntree. Its actually a re-publication of a full length novel entitled Pendragon's Heir which came out a few years ago. I have included it because I'm an early reader for the second title in the series, The Quest for Carbonek. I loved the first book in the series, The Door to Camelot because its so steeped in Literature. 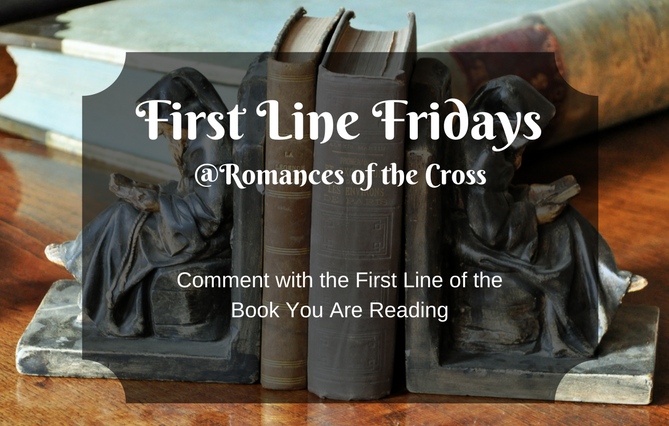 Like every chapter begins with a quote from Tennyson, Milton, or some ancient poem about King Arthur, and because it was a great example of crossover fiction between and ancient and a modern setting. The ebook is currently available for only $0.99 or the equivalent in your local currency. That might be a permanent price. Blanche was an ordinary girl in 1900 England...until the knight crashed through her door. Now, her guardians say she’s a princess lost in time. Raised in the wild, Perceval has never known his father. 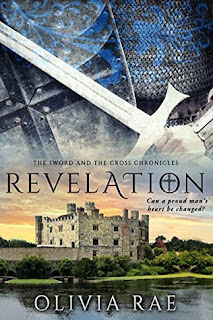 Hoping for answers, he sets out to pledge his sword to the legendary King Arthur Pendragon. But dark forces threaten Camelot. And darker secrets fester behind the legend. Sparks fly when Perceval steals a kiss from the strange damsel he finds in the forest. Blanche doesn’t trust this brash young knight...but as assassins close in, he might be her only chance of survival. Gideon Kirby loves science, and hunting down proof of past lives is a joy he won't willingly give up. But his scientific leanings are being challenged both by his personal beliefs and by local smugglers in the Devonshire countryside. And every day his sister's illness becomes more desperate. Adding a viscount's daughter to the mix is a complication Gideon never expected--especially since he must stay far away from this young woman he's falling for in order to protect his beloved sister's secret. Then tragedy strikes in a smugglers' cave. And the threat of scandal may lead to broken hearts and passionless propriety. Will the shaky bond these two have nurtured be strong enough to overcome their differences--or will the trust they've withheld from each other tear three lives apart? Another excellent beginning to a new Regency series from Carolyn Miller. As before the author delivers a memorable tale blending Romance and family drama with a flavouring of mystery and adventure. Mrs Miller transports readers to the rugged and rough beauty of the Cornish coastline bring together Caroline Hatherleigh, the eldest of three daughters of a country Viscount with Gideon Kirby. The author often has a way of incoporating unsual or little known historical details into her stories, and in this one it really delivers. All good Cornish tales have smugglers or wreckers, but this one also includes fossil hunters because it explored the growth of the study of prehistoric geology and life in the Regency period. I must admit a personal connection here, because I wanted to be a Paleontologist when I was younger, and so had more than a usual interest in dinosaurs. So the references to Mary Anning, an early pioneer of fossil hunting, and the search for the remains of an Ichthyosaur - or large sea dwelling dinosaur were a real plus for me. This novel doesn't show away from difficult themes, and I felt the spiritual content was well handled without being heavy handed as well. I also appreciated the exploration of how man of science like Gideon were able to reconcile their work with their faith. My only complaints were the misunderstandings which kept the characters apart. They could have been resolved so easily, with just talking, and it was so obvious that declarations mads in a particular situation near the end were not sincere. Caroline should have understood that. Thanks to Kregel books for my copy for the Blog Tour. I was not required to write a positive review and all opinions expressed are my own. Once again, I have finished a book in this series with mixed feelings. On the one hand it turned out to be a good story, with love, intrigue and adventure. On the other hand, it was hard for me to take this seriously as any kind of 'historical' fiction. . 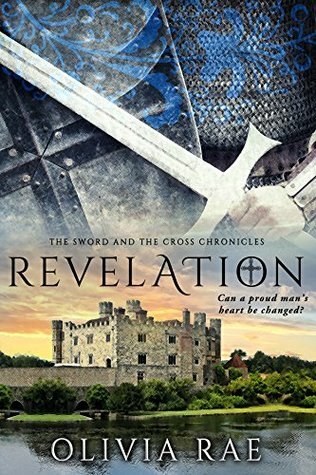 There was so many silly historical errors and inaccuracies that at times, I wondered if the author had read a single book on the Crusades, or 12th century History. People bathing was sinful, and the Knights Templar referring to themselves as the 'Order of the Templar' were just a few examples. That was not their name, and I don't think its even grammatically correct. Their correct name was the Knights of the Temple of Solomon, Templar is just an abbreviation of that. Most inaccurate I felt though, was the assumption that all nobles at this time spoke primarily in English, so a we have a young woman captured by Saracens would have been taught English. No. This was the 12th century. English was considered the language of the commoners. The aristocracy, even those who came from England would have spoken French as their first language. Now, I am not suggesting the author should have had characters speaking old French or something: but treating English as some kind of internationally recognized Lingua Franca in a novel set in the 12th century is just- really silly. Also, no Muslim woman would have worn a transparent veil. Seriously, veils were worn for the specific purpose of covering the hair: a see through one defeats that purpose. Transparent veils and headscarves are a silly movie trope. There were other common tropes as well: such as the idea that almost all Templars and practically all of the Medieval Catholic church was evil and corrupt. Ariane is supposed to have been kidnapped by Saracens and raised as a Muslim for 10 years, but apart from a few references to Allah, she seemed to have almost no understanding of that religion. I very much doubt any Muslim woman would have been openly living as a mistress: or in a harem. Muslim women would normally have been subject to much higher standards as far as sexual morality was concerned. She also seemed to have no problem drinking wine, despite the Islamic prohibition on the consumption of alcohol. Her whingeing about not wanting anyone to 'control her life' came across as gratingly modern, and I really did not care for a certain plot device used in each novel in this series, which I won't give away but will become obvious to readers. To me, it makes things too easy. So, ultimately this novel was OK, but it could have been set at almost any time in history. Even the fact that Julian was supposed to be a Templar only seems to have been put in because of the fascination with all things related to the Knights Templar these days. I did feel that is sort of dragged towards the end as well, as things got rather far-fetched and contrived to keep the characters apart, or to keep the danger and drama to a high level. It could have ended about 40-50 pages earlier, but there had to be one more misunderstanding or fight scene. I would read the next book in the series, but I have read better novels set during the period of the 3rd Crusade. Although, I would say the Crusade is not the primary focus, its more of a Romance. I have not posted in nearly 3 weeks. 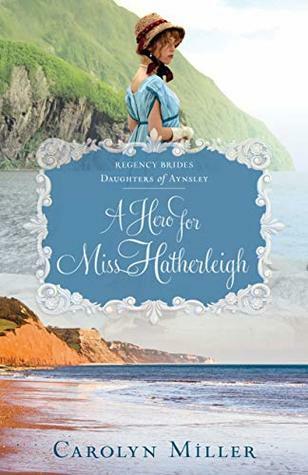 I was going to feature the first line from Carolyn Miller's latest novel A Hero for Miss Hatherleigh but I figured that a lot of other people are probably going to be including that particular book. So I am featuring instead the first line from an novel I am currently reading from my Kindle Backlist: well actually I am listening to the audiobook, since I got the novel free a while back. Lady of Conquest is one of several clean read rewrites of a series of general market titles she wrote back in the 90s, and is actually one of the earliest of her novels- at least in terms of the setting. Its set in 1068, just a couple of years after the Battle of Hastings. Or rather it was the earliest until the Publication of Merciless, the first title in Mrs Leigh's new series set just after the Norman Conquest late last year. The second book is due out in late April. Being from Sussex, the Battle of Hastings and the Norman Conquest is an event I've always known about, and sort of always consider the Saxons as my people. I like the cover a lot, and the blonde Lady looks very Saxon: apart from her impossibly small waist and the stone castle in the background. Castles at this time were made strictly of wood.
" A thousand times I curse you!” the fallen knight shouted at the one who cradled his head in her lap, whose blue skirts were stained purple with his blood"
Don't forget to click the Meme and comment with your own First Line. I was not sure whether to give this book 3 or 4 stars. So I will ultimately settle for 3.6. Readers beware this review is going to be on the long side. First off, I don't share the outrage of some over the 'cultural appropriation' of a Mulan story set in Germany and Poland. I believe stories have always traveled and passed along cultural and geographical boundaries. Besides of which, I'm a Brit and I can well attest how many of my country's great stories have been retold and adapted across the world. We don't have a copyright on Robin Hood, King Arthur or Shakespeare. Anyway, without further ado. The story itself was quite good. The Romance was charming, and there was plenty of adventure and excitement. As far as the characters went, at times I liked Mulan, at other times I wanted to slap her. She could be very inconsistent. I think by the end the author did a good job reconciling the warrior with a woman who could still be vulnerable, but at times she was just so changeable and getting annoyed over silly things. I kind of preferred Wolfgang, and the situation with his brother Steffan. At times he could be a bit of a jerk, yeah, but we was trying to do what he was raised and trained to. At least that's how I saw it. I also rather liked Andrei, Mulan's companion/Squire/Friend. He could do have his own story. The battle scenes were well written- but- I found some of them very unrealistic at the same time. The Grand Master of the Teutonic knights going into battle without any armour on. Just no. In fact, the elite military order of the Teutonic knights came over as pretty useless and incompetent for most of this story. At one point a division of them just gallop straight towards a line of archers. Finally, whilst most of the details of the story were authentic, there were some inevitable modern Americanisms ('uh-huh' and 'yeah' and one character says 'girlfriend'). I note with some disappointment that this is the third Medieval Fairytale retelling by this author in which there's been a reference to potatoes. Potato dumplings may be a traditional dish in Lithuania today, but they weren't in the 15th century because-we-did-not-have-potatoes-in-Medieval-Europe. None. Nada. They come from the Americas, specifically South America and could not have been known in Europe before they were introduced in the 16th century at least. Also, I found some of the situations at the end rather questionable. For one thing, they really reminded me of the closing part of Ivanhoe by Walter Scott. Ivanhoe was good, but historically accurate it was anything but. I've read that a person could only be tried for heresy by a church court: and the Teutonic knights were not a church court, and also the whole thing about a woman being accused of heresy taking part in combat did not wash with me. Now, I know people are going to be thinking 'Joan of Arc' but there are plenty of examples from before her of women who took part in fighting and warfare and did not get into trouble for it. It was not beyond the pale even then. Its entirely possible that the author meant this to be a distortion of Christian and social ideals, as represented by the villain. At least I hope so. 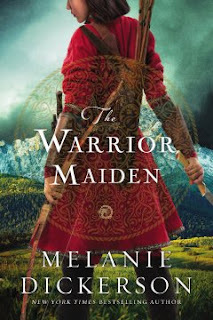 Overall I did like The Warrior Maiden as an interesting spin on the Warrior Woman/Girl trope and the Mulan story. Some suspension of disbelief is required, as with most novels. 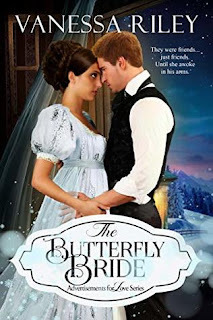 Vanessa Riley is another new author for me, and I rather liked the unusual storyline of an interracial romance which features in a lot of her stories. The resemblance between the couple on the cover and Harry and Meghan has not gone unnoticed. So whilst I liked this story for the most part, the lower rating results from two things. First three were a lot of Americanisms, more even than usual in books like this and it felt a bit jarring. Secondly i did not care for some of the romantic content. Pages of touching and kissing. I can take some romantic heart, but I just didn't care for way the scenes were written or the length. They felt a little overdone, even perhaps contrived. I would be interested in reading more but this author. I just wasn't hugely keen on this one. Thanks to Entangled Publishing and Netgalley for granting my request to read this book. I was not required to write a positive review and all opinions expressed are my own. Though Magnus MacLeish and Lark MacDougall grew up on the same castle grounds, Magnus is now laird of the great house and the Isle of Kerrera. Lark is but the keeper of his bees and the woman he is hoping will provide a tincture that might help his ailing wife conceive and bear him an heir. But when his wife dies suddenly, Magnus and Lark find themselves caught up in a whirlwind of accusations, expelled from their beloved island, and sold as indentured servants across the Atlantic. Yet even when all hope seems dashed against the rocky coastline of the Virginia colony, it may be that in this New World the two of them could make a new beginning—together. Reading a book by an author entirely new to me is always an interesting experience. This novel was well-written, and I can understand why many people like this author's books. 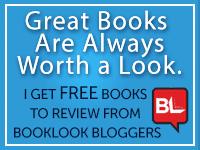 The settings are vivid and the characters well-drawn, especially Lark. She's a herbalist and beekeeper, and often misunderstood profession. So there are a lot of details about different medicinal herbs and their purposes: fans of Cadfael like myself really go in for things like that. Nerdy I know. The main reason for my lower rating was that I felt, sadly, there were a few too many mistakes. 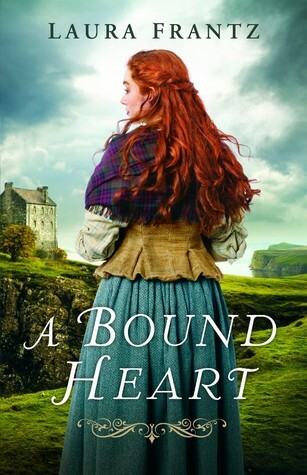 I had reservations about a book set in Scotland by an American author, and sadly those were realized. I mean obviously Mrs Frantz has researched the language and landscape of the Isle of Kerrara (which I realize I might actually have seen at one point when staying in nearly Oban). There was the usual issue of Americanisms from the Scottish characters, which could be rather jarring. Eating with only a fork for example, and some geographical errors. The Isle of Man is located in the Irish Sea not the English Channel. In another place there was a reference to a woman singing a child a lullaby about picking blueberries. Blueberries were not introduced to Britain until the 1850s: so that clearly isn't a British song. I think at times there was a tendency to fall back on some stereotypes. Like the characters were a bit too exaggeratedly Scottish. Not everyone in Scotland uses peat on their fires for example. Its not compulsory: its used where peat bogs are common: in England, Scotland and Ireland. Elsewhere people used regular wood fires, or coal. My main objection though was the mischaracterization of the Jacobite rebellion. Here, as with many other novels set in this period its cast has having been a simplistic conflict between the Scottish and the English. Except it wasn't. It was more Catholic vs. Protestant, although there were some English and French soldiers on the Jacobite side: and more importantly many Scots were against the Jacobites. More significantly, Lark and Magnus are supposed to be Presbyterians. Presbyterians by and large, were hostile to Catholics, and were highly unlikely to have fought on the side of the Catholic claimant Bonnie Prince Charlie. So I found the whole backstory about Magnus and his father very improbable. I did appreciate the spiritual themes in the story and that it was lighter on the Romance side. I'd also certainly consider more by this author, but I do wonder at the proliferation of books involving Scottish characters sent to America in the mid 1700s this year. 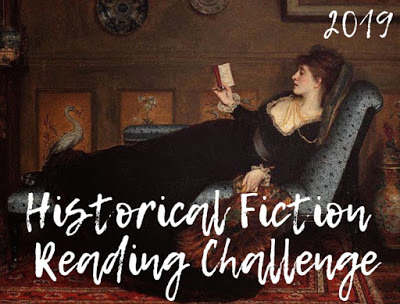 They're inspired I think by the Outlander series; and the trouble with novels inspired by TV series is that they can be a hit and miss, especially if the authors are not very familiar with the country or culture where the characters originate from. Thanks to Revell and Netgalley for allowing me to read an E-Galley of this book. I was not required to write a positive one and all opinions expressed are my own.